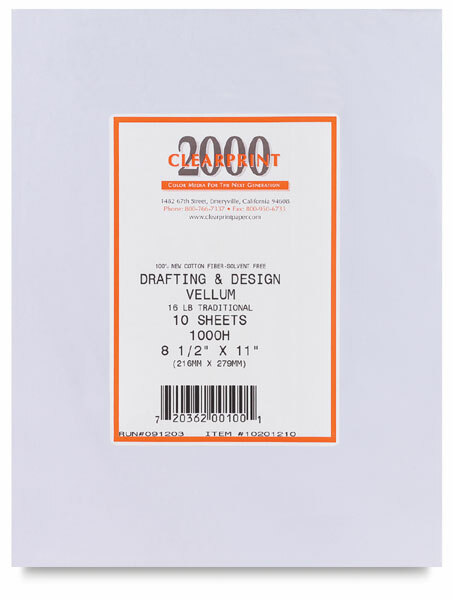 This 100% cotton fiber drafting vellum is said to be the finest technical art parper. 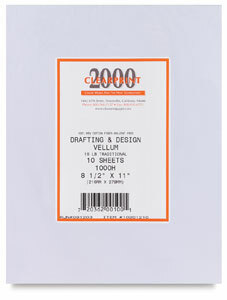 Pen and pencil lines come out sharp and clean, with no feathery edges or ghosting. Its surface is transparent, smooth, and uniform. ® Clearprint is a registered trademark.